We are seeking motivated and engaged high school teachers to develop the skills of emerging media practitioners. Participants do not need to have any background knowledge or prior training in Coding or Computer Science; the institute is designed to expand the technical training of those who already have an interest/practice in the media arts so that they can teach it more effectively and in an integrated way across the pathway. 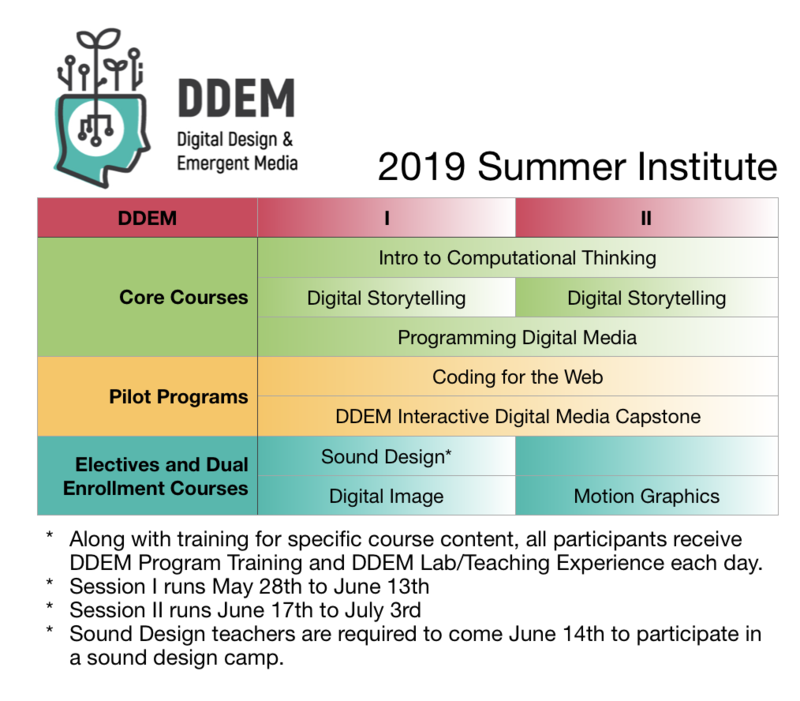 We expect teachers to attend the Summer Institute for two summers to complete training for 1 to 2 courses in their pathway. Most training sessions cover the entire 6 weeks. Each week contains 4 days of instruction, with a 5 day and 3 day week to end the institute before July 4th. (see schedule below) However a few of the courses are run in 3 week sessions, indicated in the listing below. We have found that the programming courses require significant practical experience and therefor necessitate ample time to work on developing assignments, examples, teaching materials, etc. If the schedule is prohibitive or you feel that you have ample experience in a particular area please contact us for possible accommodation. We will do what we can to allow you to participate as long as we feel assured that the quality of teaching will not suffer. If you are interested in some of the topics we cover, feel free to peruse the previous cohort's collaborative board. 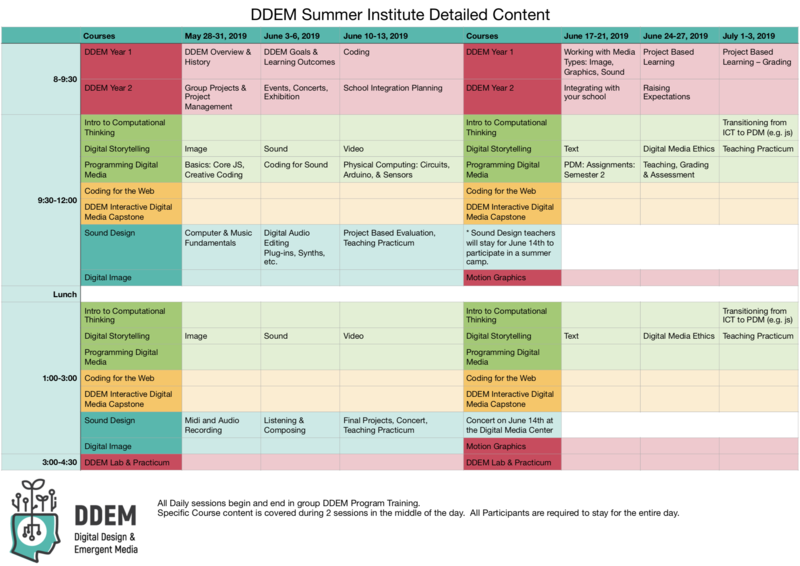 Keep in mind that this resource was created by the facilitators and teachers that participated in the first summer institute. We will be using these resources as the starting point for this, our second year.